Zambia has received bids from Canada’s First Quantum Minerals (FQM) and others for a 17 percent stake in state mining investment arm ZCCM-IH, the finance minister said on Tuesday. “There are multiple unsolicited offers on the table, including from FQM, which are based on preferential share conversions,” said Margaret Mwanakatwe on the sidelines of a mining conference in Cape Town. 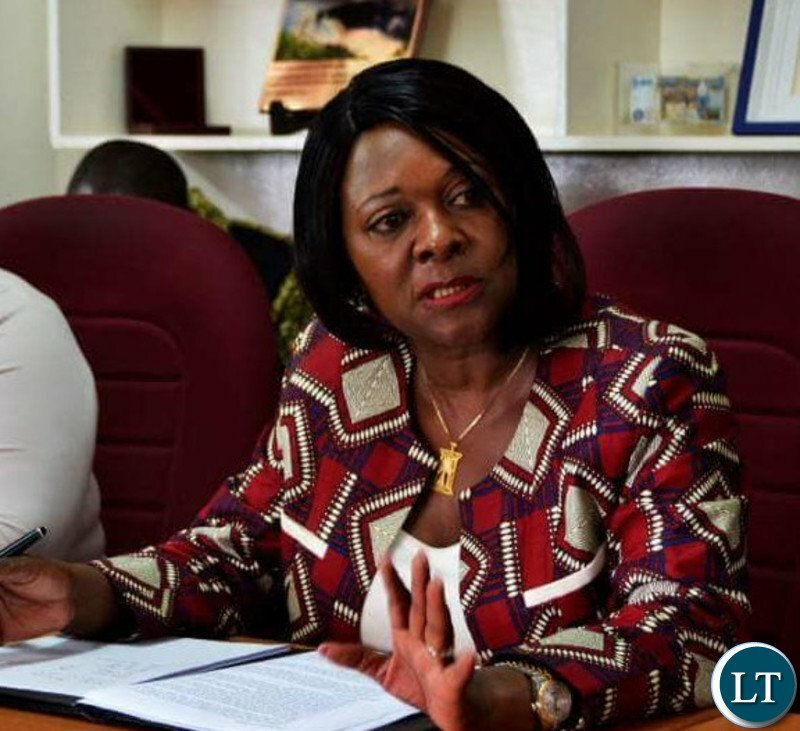 “The offers relate to the ministry’s 17 percent holding in ZCCM-IH and a sale would be subject to cabinet approval,” she said. Meanwhile, political analyst Sishuwa Sishuwa has claimed that former ZCCM-IH Chief Executive Officer Pius Kasolo was fired for his refusal to sanction the sale of Zambia’s 20% stake in First Quantum Minerals. Dr Sishuwa said a very reliable source has just told him that President Lungu’s regime is now moving fast and that representatives of Government & FQM are currently in South Africa to conclude the deal which he called extremely nauseating. “Unless they abandon the deal, the outcome is sealed,” he twitted. But Former Lusaka Securities Exchange Chief Executive Officer Brian Tembo is doubtful that the deal is on the table. Mr Tembo has since urged the public to visit the LuSE to understand the provisions of disposal of assets of a listed company to determine the truth around this issue and whether or not the correct process is or has been followed. “The said notice requires to be sanctioned by SEC/LuSE. This is done as soon as the company gets approached by a buyer or intends to dispose off,” Mr Tembo said. God save my country from self enriching vultures. She is confirming now and even generalizing when FQM says that the bid was submitted last year. Please don’t sell our stakes in the mines, don’t drop our claim for $1.4bl . They are not for you to give away or sale. They are a trust unto you. Maggie should visit HH in his hotel room and have a pillow talk over that sale of ZCCM. This is serious, worse than selling NRDC, ZAFFICO and Chimbokaila. Actually we should be increasing ZCCM-IH shareholding in FQM so that our citizens benefit but becoz we have corrupt PF00Lish elements in power, a bribe of even $1-million will seal this sickening transaction. This is even worse than NRDC or Zaffico. Lungu is corrupt to the core who has auctioned the country to foreigners. That’s why that story of him being a Malawian was believable. He is the worst mistake that ever happened to Zambia. Margret Mwanakatwe is actually Malawian, her real name is Duduzile Mhango (just g00gle the name). They don’t feel the pain of selling the country to foreigners. Maloza, stop peddling lies. Much as I dislike the PF and many of its members, Dudu is not Malawian! Firstly there is nothing wrong with being a Malawian or non Zambian. Let’s not allow this as Zambian instead we are supposed to increase stake in the mines.Why should we go back to privatization. @Nsimbi, in 30 years time you’ll be saying “I spent time in the house of Ching Chong-Lee, he’s Zambian, let him be president”. Duduzile & Mhango are South African & Malawian names respectively. Just like Hara, Moyo, Chulu, Gondwe, Nyimbiri, Bwerani, Bwezani, Pandawe, Liwewe, Ntewewe, etc. are Malawian. There’s nothing wrong with being Malawian, but allowing them into sensitive cabinet positions is a no-no. Only an unpatriotic foreigner can sell-out assets to fellow foreigners or indebt our citizens, our children, grand-kids, great grand kids with $-billions of unsustainable Kaloba debt. Why are we selling everything that adds value to our country? Does this mean we just want everything sold before we leave government. Am PF ,but not happy with this kind of selling. In my view we are losing control of important assets and as a result we won’t have a say in any strategic institutions. I’d rather we don’t open the national air line, but keep the shares. Just thinking aloud. Think of the future of all my kids…theyll absolutely zero pride.When the the 20% is sold then what,wheres the “copper pride” how do you control the mine if it wants to layoff our people…we’re just going to release the leash on this dog? NGOs you’re too quiet in back… Am outta breathe now been screaming against this malignant tumor that’s growing,help me more! CRY the our beloved country and daft leaders! Nope ,nyet ,não please Margaret Mwanakatwe bika panshi this rotten deal.Zambians should never sell their soul for such deals the GRZ stake should instead be increasing. Corruption has been the driving force with these nincompoops, they have no iota of remorse. Just yesterday a minister is found with 5MILLION KWACHA in his house. We lamented at the exorbitant costs at which these tollgates are being erected. The same applies with ZCCM IH, if FQM wants to pay 700million dollars for those 20% shares then invariably they should be way more than that as they have done their due diligence. Cabinet is going to decide my foot, why don’t we allow such decisions to be made in parliament? This drunkard of a minister is cancer that needs to be imputed from the arm of government before they send all of us to our early graves. If you morons go ahead and sell those share posterity will not only judge you hastily but will come for you post 2021. Which Parliament are you talking about? Only 2 people make sense in that House 1 Kakubo of Kapiri, 2 Kansune of Keembe; the rest are howling hyenas. Kambwili just makes running commentaries, Mwiimbu always looks drunk, Nkombo is a lumpen, who can sensibly debate such a motion? THESE *****S SHOULD BE STOP AT ALL COST IF IT MEAN PROTESTING IN THE STREETS LETS DO IT. Anybody who is not passionate about running ZCCM-IH as the pillar of our economic diversification program should not be allowed anyway near the ZCCM-IH. It seems we have klopemania in “the house”. “This is why we have embarked on a diversification program away from mining to include energy, cement production, forestry and agriculture, among other viable sectors,” Dr Kasolo said. Lungu’s GRZ do not sell Zambians into economic slavery. Burn those documents for unsolicited ZCCM bids somewhere in the filthiest part of Misisi to show our contempt/disapproval. ;And Mwanakitwe has also confirmed that the offer has been accepted, and has been approved by Jonathan. YonaLungu, did you read the story or maybe you just quickly posted a f***lish comment? Instead of increasing the stake, bakoswe mwibala want to swallow the even the seed as advised by their leader. Wonders shall indeed never end. Some things are just too annoying. It can’t be correct that our current leadership have experience a sudden brain failure to an extent that it would sale the heart inside itself and still expect to continue living. Whatever the financial difficulties we are drowned into, selling strategic state owned stakes won’t be the floater to drift us ashore. It would be fatal madness!!!. We Zambians wholy decline the offer. Period! Effects of mismanaged privatization program of Zambia’s assets by HH the failure! This chap HH sold our mines without thinking about the consequences which are now haunting innocent Zambians and yet the chap has even got guts to think Zambians can trust him our treasury again, s1lly. This is a very sad public display of ignorance; HH did not sale the mines. The government decided to sale and HH’s firm was engaged to oversee the sale. “Our people die for lack of knowledge”, this is a typical example. Cabinet has never objected anything……………..What can people like the ever smiling Freedom Sikazwe offer? The 17% is already gone. Cry my beloved country. Government should be moving to gain a larger stake in these mines,not the other way round…I will never support PF if they accept that bribe. These clowns are selling all the “geese that lay the golden eggs. They never learn, learn from Botswana how to manage national resources and make Zambia great again! Botswana are less endowed with national resources, but they are miles ahead of us who have become beggars sitting on beaches of gold because of corrupt and thoughtless brand of leadership. Don’t sale the mine!!!!! They need money, where do you think lungu and his gang will get money from ?? If that silly wife of lungus can spend close to $500k to go and look at free donated fire trucks and collect personal honery certificates that will benefit no one , their spending public money is unparralled …. GRZ is trying to frontload repayment of the kilometers samp led Euro Bond. However, they need to be educated when EZN was Minister she objected to the sale of the Mines but after much arm twisting including the recommendations made by hh at a fee to sale,Edith consulted her crack Ministry team. Hence the creation of an ‘investment’ vehicle now called ZCCM-IH. In the cannons of its creation the legal brains strategically inserted the 17% Golden Share when the assets appeared worthless. That clause was designed to stop such unsolicited proposals. So please 700m $ looks like loads of cash but if all it takes is 7m$ to cede control of the mining sector think again. LUSE Officer, are you just getting off the bus from somewhere? When did this government follow the right procedure? The mounting debts are now biting the bones, the flesh is gone. Do not sell anything there is nothing left to sell our potion in the mines cannot be sold we refuse . Zambia has been a downward spiral as a country since MMD came into power. It will continue as long as useless economic dinasor from MMD have an influence on the current politicians in Government. Zambia as a project is done and dusted. Good move, What’s the benefit of owning shares? Profits and dividends are paid at HQ level and we get nothing of the upside even in Taxes and Royalties. If we sold we can realize cash to pay of debts but make money by taxation and mineral royalties. Would be good to debate this. We must however ensure like Uganda did that we are paid our share of property transfer tax and also insist that they list locally so we have access to their books. What the people would like to see is an increase in the meagre share holding that we have in these mines.Our silent share holding stake is what disadvantages us to have a say in the running of the mines.Let ZCCM-IH increase it’s shares to a decision-making participant so as to represent the interests of the Zambian people in the mines.Do not drop your guard and fall for their unsolicited offer instead tell them that we deserve more shares and negotiations in that perspective must begin without fail. Bloggers need to have an open mind to issues rather than comment based on political affiliation, prejudice or ignorance. Selling a stake for about $1.5bn can help us offset debt and improve our external debt profile. One thing the rich will tell you is that owning something and benefiting from it are two separate things. That’s why they formed the Corporation and why Bill Gates is worth less than $2000 dollars but controls wealth that classifies him as the worlds second richest man.